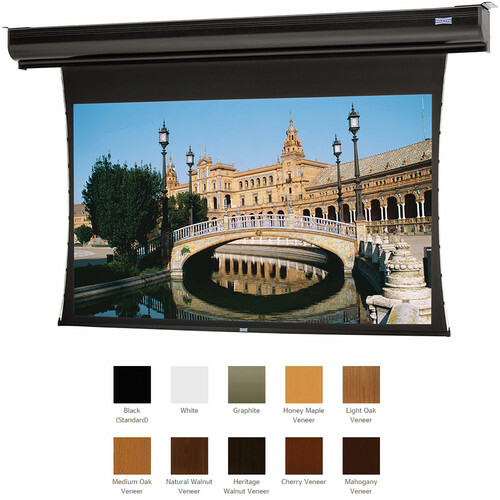 The 220V 24745ELSMOV Tensioned Contour Electrol 60 x 96" Motorized Screen from Da-Lite supports ceiling or wall mounting. Tensioned screens ensure the smoothest surface possible. Designed to provide silent operation when raising or lowering the screen.